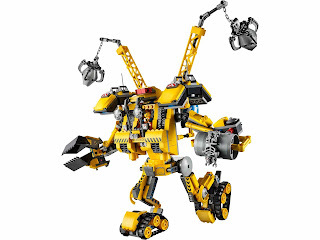 come with a construct o mech. 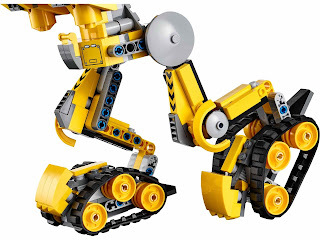 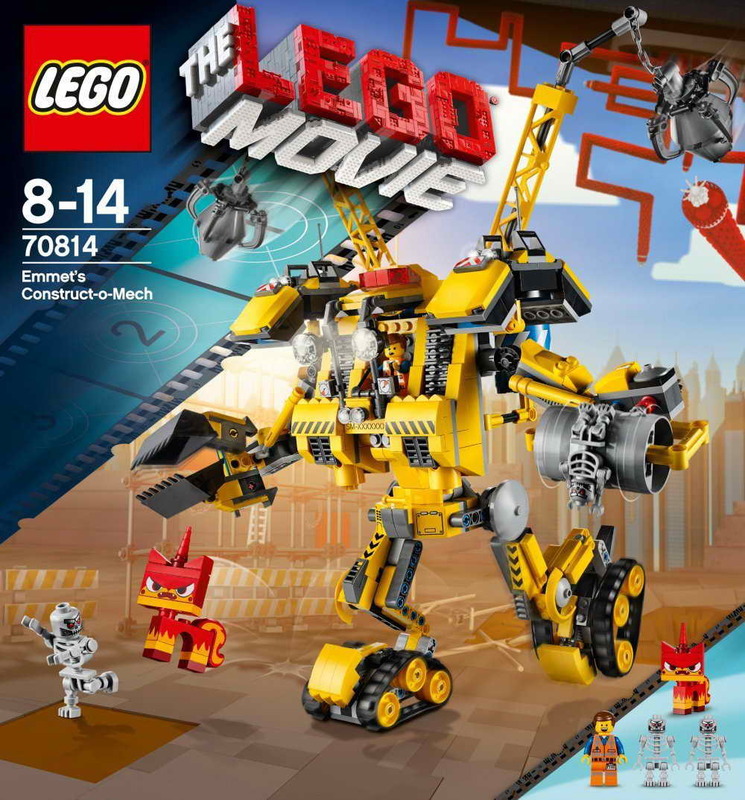 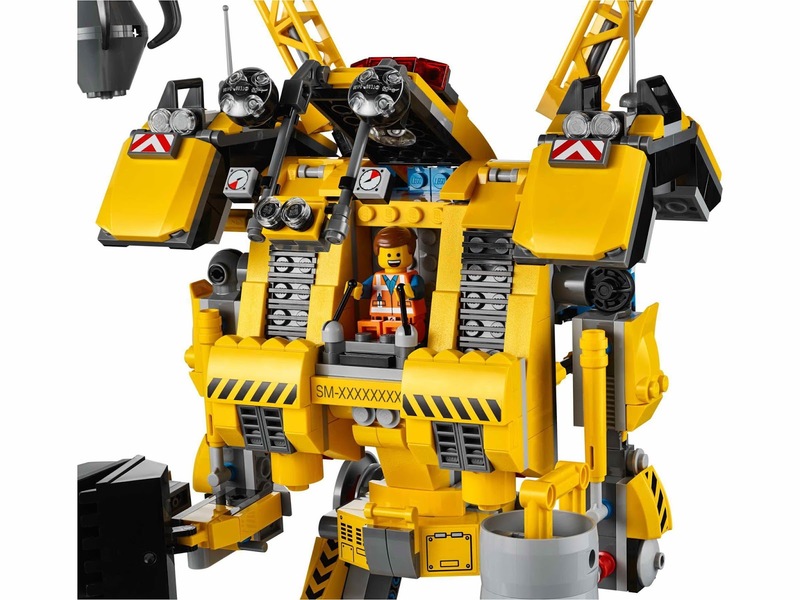 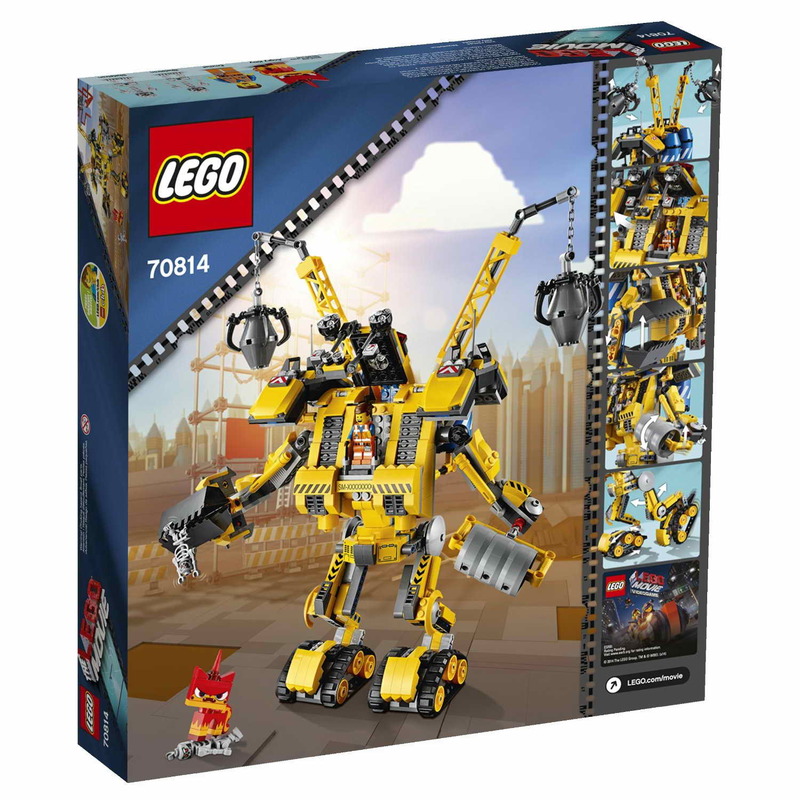 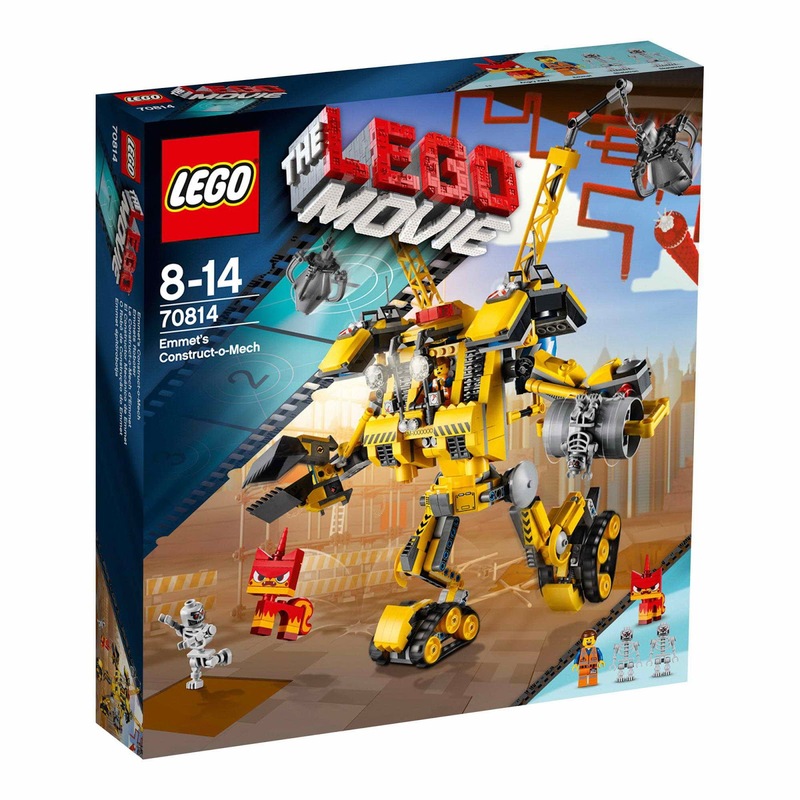 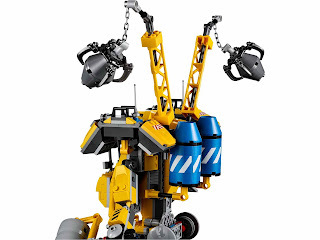 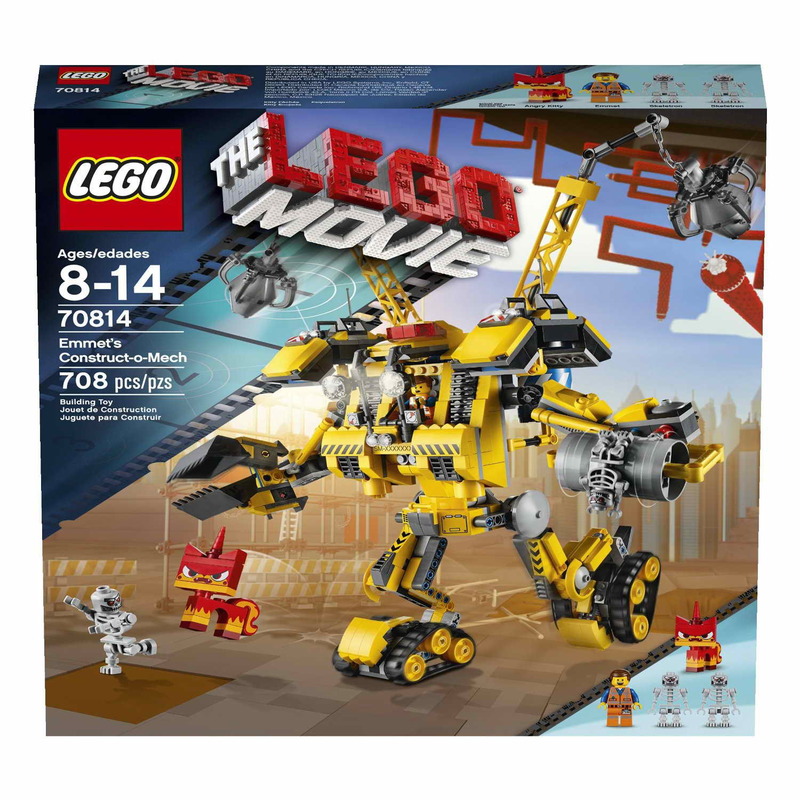 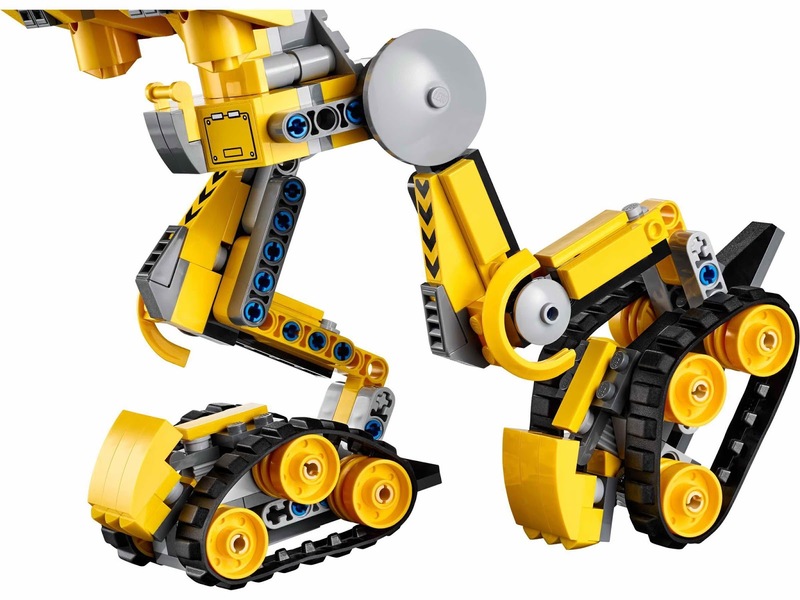 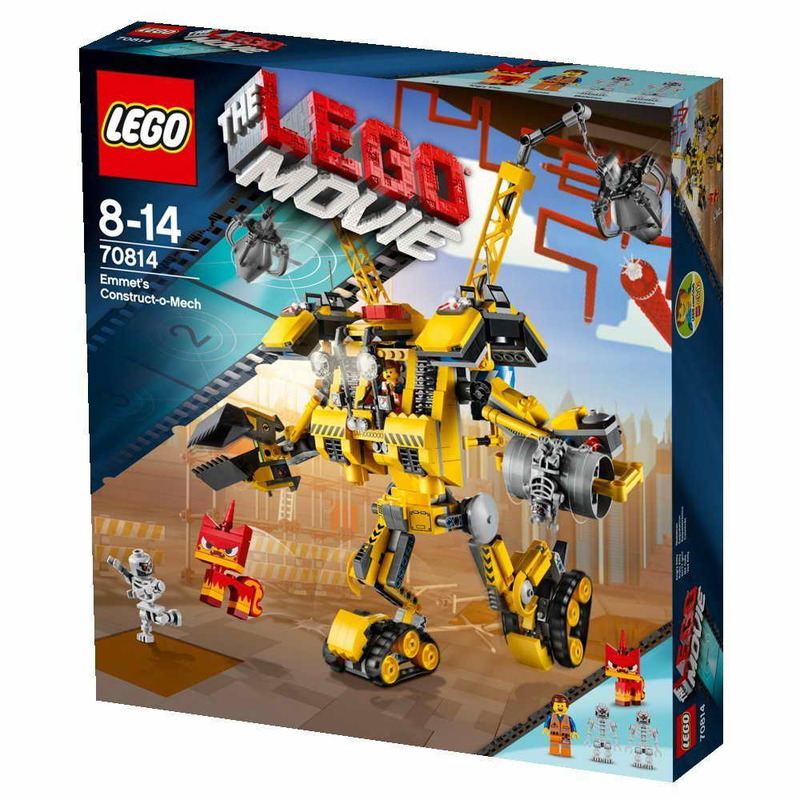 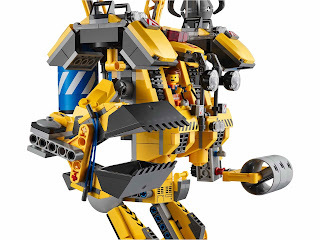 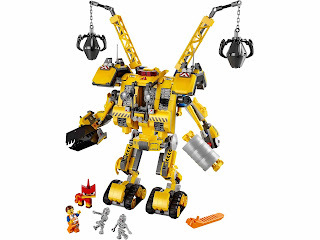 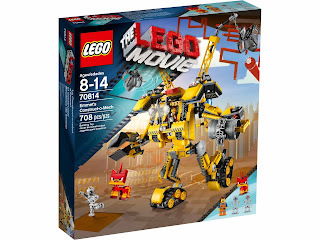 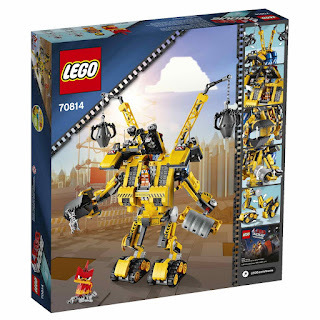 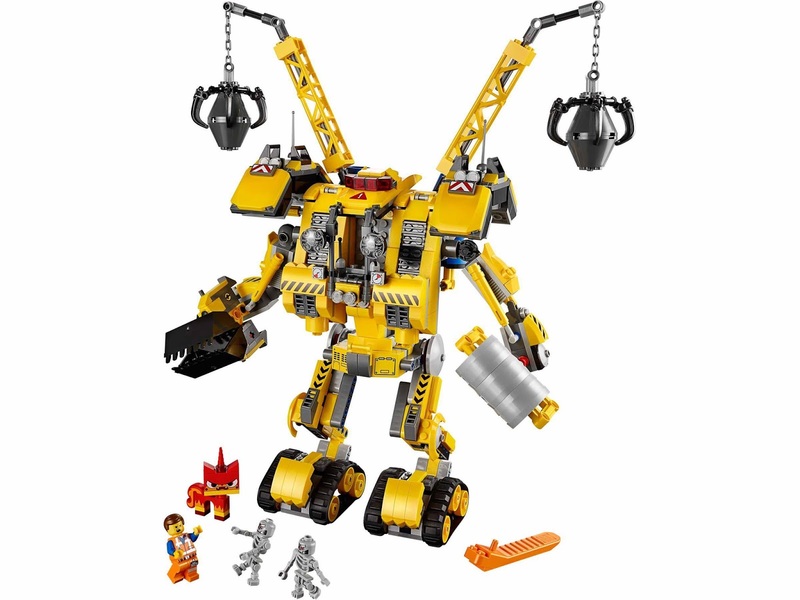 the mech has an openable cockpit, 2 twin wrecking balls cranes, posable arms and legs, a rotatable roller arm, an openable excavator bucket arm, 2 cement mixers and rubber tread tires. 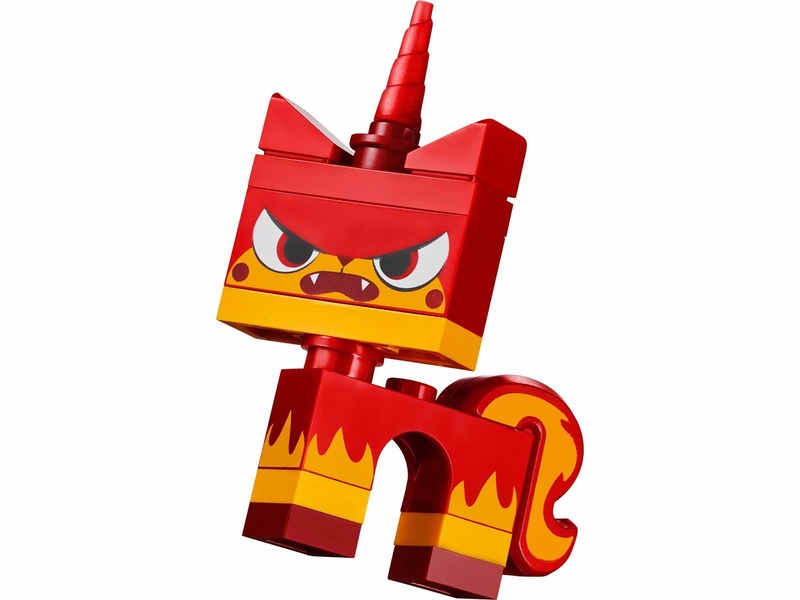 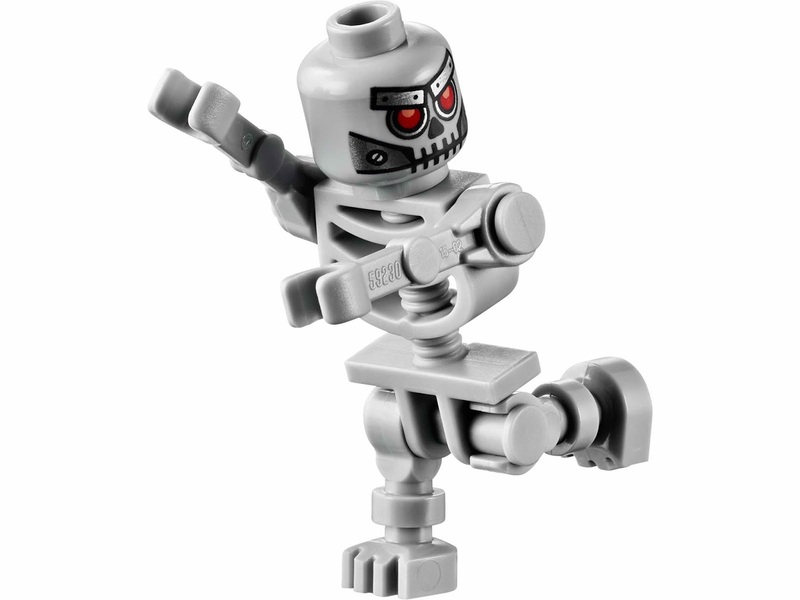 minifigs included an emmet minifig, 2 skeletron minifig and an angry kitty minifig.